Nope sorry. My family moved to Washington state in 1991/1992 and quickly discovered Starbucks. When I joined the Airforce and left, I found myself very, very homesick. My Mom sent Starbucks coffee and Starbucks branded gear regulary where…ver I was stationed. The 1992 logo became something I identified with Seattle, and home. The new logo has more to do with re-branding the company for a world market, and modern iconigraphy, prepairing the way for Starbucks to leave fantastic coffee behind, as the company moves to “McDonaldsising” Starbucks into something else. LAST year Howard Schultz said that Starbucks needed to rediscover it’s fine coffee and Pike’s Place roots, and then launches the massive re-invention of the company THIS year. 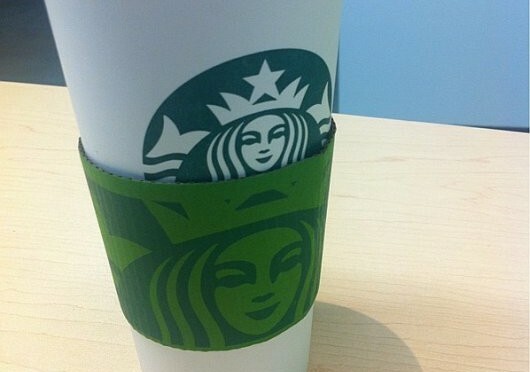 While the logo has changed from it’s 1971 incarnation, it’s the 1992 logo that the world knows as THE Starbucks logo. The new logo with it’s name and circle shed and left is a reminder that the era of the company once known as “STARBUCKS COFFEE” is dead and gone. STARBUCKS is transforming itself into Kraft and Nestlee, and while I normaly lable the extreem anti-globalization fanatics in Seattle as nuts, I do wonder why more Seattle Starbucks fans are not more volcal about what their home grown coffee shop is doing.